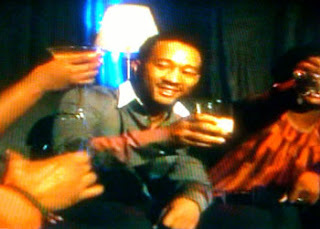 As I sit here watching, I just spotted a John Legend (C'99) commercial which I think may be new. The above image is from John's Baileys (alcohol) commercial encouraging viewers to act responsible before they drink. Speaking of the Oscars and Penn alumni, just in case you never saw this post, click here to check out Gabriel Mann's (C'95) very cool appearance on last year's Oscars! Check out other Penn alumni musicians!